Not your regular Peanuts! 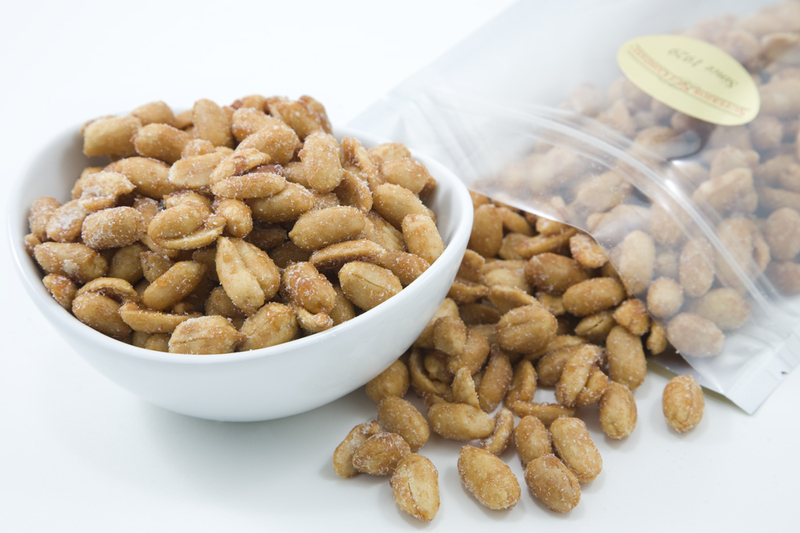 Our Old Fashion Delicious Honey Roasted Extra Large Virginia Peanuts are hard to resist. Honey Roasted Extra Large Virginia Peanuts - Reclosable bags - Net WT 1 lb. Allergy Information: Contains Peanuts. This product is produced at a facility producing peanuts and other nut products. may contain elements of tree nuts. These are great - you can't go wrong with this order! No need to add sweetener to these. Just put them in a mixer with a few tablespoons of oil. I live in new York,found them at a store call,christmas tree shop,,,was in a 2 1/2 lb jar,,,,,,we only payed 6.99 for that large jar,,,,,i went on here to buy more,thought it would be cheeper seeing coming to the place that sells them,,buy it cost a lot more ,,not sure why.here it would cost me around 12.00 for the same jar I get for 6.99,,so try the Christmas tree shop. I love these honey roasted Virginia peanuts. During the day when I am feeling a little hungry I munch a handful of them and try not to make a meal of them. They are that good! ProsThe little bit of sweetness and hearty full flavor inside along with the satisfying crunch that tells my brain to smile and be happy! These were by far the best Honey Roasted Peanuts I have ever had, super fresh and just the right amount of flavor, not overly sweet like most mixtures. I will certainly be ordering these again. ProsFresh and just the right amount of flavoring. ConsThey disappeared way to fast. Free is always good, but would I re-order? Way above your standard honey roasted peanut.